WhatsApp has become one of our main forms of communicating. Nowadays it's mainly used to speak with family and friends, to greet old friends, keep up with the occasional gossip and even for shameless flirting. Of course, with so much compromised information on our smartphones, it is natural that we don't want anyone accessing certain conversations. To prevent this situation from arising, we tend to delete the chat and forget all about the matter. But, did you know that there is a way of archiving these conversations and accessing them whenever you want? If you're wondering how to do so, read on. 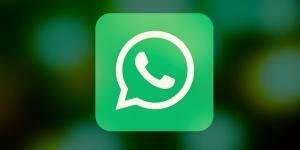 We at OneHowTo we're going to explain how to hide WhatsApp conversations without deleting them permanently. Did you know that WhatsApp has an option to archive conversations? This functionality is known by very few, yet is the perfect way of hiding conversations from prying eyes. This article will explain how to archive a conversation on Android and iOS step by step. Let's start with Android: open WhatsApp and go to chats, selecting the chat you want to hide. Once you find the WhatsApp conversation you want to hide, press it with your finger without opening it (you have to press longer). You'll be directed to a screen with several options for this particular chat, one of which is Archive Chat. Select so that the conversation momentarily disappears from the top of your app. But, how can you access the conversation when the snoopers have left you alone? Well, it's simple. Go to the bottom of the chat area where you'll find an option named 'archived chats'. Selecting this will show all conversations you've archived. When you want to have the conversation back, just press again without opening it. Different options will open now and you'll have to choose the 'Unarchive chat'. Hiding WhatsApp conversations on iOS is equally simple. To do this, open your WhatsApp and go to the chat area. Then, select the conversation you want to save, and without opening it, swipe with your finger to the left. By doing so, you will see the Archive option, which will save the conversation automatically. To find the conversation you have saved, go to the top of your chats and slide with a downward motion. Then you will see the option of archived Chats. Select to find your saved conversation. If you want to recover it so that it's back in the main chat area, swipe our finger to the left, without opening the chat, and select Retrieve. It's that simple! 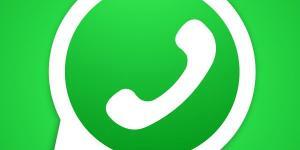 Now that you know how to hide conversations on WhatsApp, you'll be free of any prying eyes. However you should know that this option does not work for groups. If a person contacts you again, the previous messages will appear, so, if the conversation is of a sensitive nature, you're best off deleting it. If you want to read similar articles to How to Hide WhatsApp Conversations, we recommend you visit our Internet category.